Classical musicians are cover artists. We play the scores of composers from long ago, and we get to put our own spin on the music. But what about creating our own from scratch? It’s not always easy to start off. Compare it to writing in your own native language (English for the sake of the analogy). You started reading somewhere around the age of five. Then you probably began to write short sentences and progressed to essays during the time of grade school. You learned to write poetry, the easiest form being the haiku, and possibly some fiction. Throughout this process you learned to express at least some part of yourself in a literary manner. Now think about your journey with music. 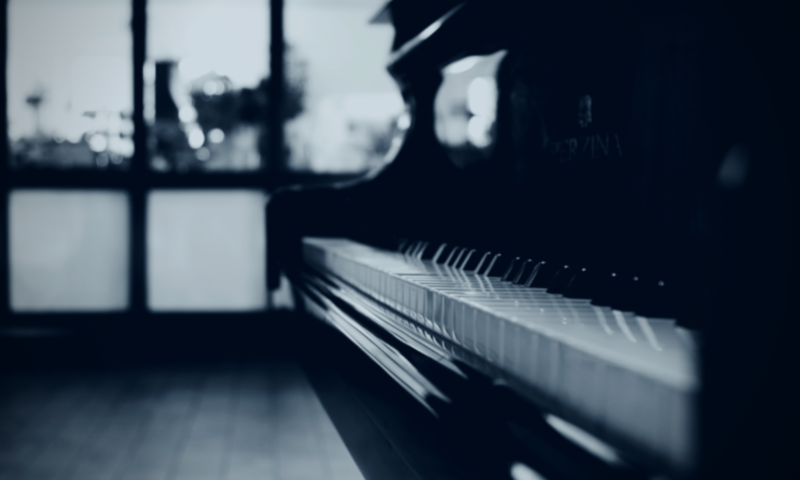 Your parents may have started you in lessons when you were just starting school and learning to read, or you may have waited until you could join band in the fourth grade, or maybe you didn’t even think you’d like music until you started taking piano in high school. Nonetheless, the fact that you are reading this probably means you are a musician and have studied musical literature in some way, shape, or form. You probably know at least the bare basics of theory, and if not, you’re not afraid to ask for help. The internet is full of resources. And maybe you’re like me. You want to learn to express yourself with music too. Playing already composed music is one of the most amazing things you’ve ever done, but you also feel this urge to create. Yet, instead of starting you off with short sentences, the music education system had you learn all the grammar, had you read only the very best of musical sentences. And the result of that is you know how elementary your own creations seem. You have to start there though, and that’s okay. You’ve got all the knowledge of theory and grammar that you need to learn how to write music much, much faster than when you learned to write. At the risk of adding to an already loud discussion of advice blogs and Youtube channels telling you how to break into arranging and composing, I hope to help in any way I can. Remember how all your teachers always say to “listen more than you play.” They’re referring to paying attention to your technique, to other members in your ensemble, to recordings of the greats. But something they don’t always talk about is that tiny voice inside you. You experience the world differently than anyone else. For synesthetes, it’s very obvious; they literally see color when others don’t. For the rest of us, it’s the memories we’ve made that paint the world in different shades in our minds. You hear things in a way that no one else does. So when you’re listening to a song that you want to arrange, you might add notes here or there, or you might sing along and add harmonies. Be confident in that voice. Arranging and composing is one of the rare times when you actually get to listen to that voice. For the rest of your life, you’re encouraged to be more objective, to listen to technique, to think about what the audience or the judges are looking for. But here, in this creative space, listen deep inside. Of course you still have to work hard. There will be countless hours when you don’t know how to finish a song. The muse refuses speak to you. But keep trying different things; it’s a puzzle to be solved. You’ll find the answer. Exercise: Pick one of your favorite songs that gets you moving, one that you either literally or figuratively dance to when no one’s watching. Learn the melody on your instrument (or just sing it) and then turn off the track and have fun with it. Don’t worry yet about writing anything down. Just let yourself have fun. Good luck! I plan on doing a series of arranging tips, so this is the first. There are so many resources available today for musicians, so I’ll gather up what I’ve found helpful and try to build upon that. Let me know if there’s any specific topic regarding arranging or composing that you’d like me to touch on. You can do so in the comments below or send me a private message via my contact form (or even on tumblr if you prefer)!